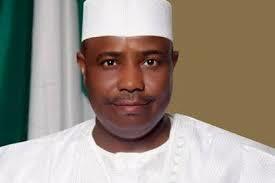 The Sokoto State Government has procured assorted equipment and implants worth over N20 million for its 50-bed capacity Orthopaedic hospital in Wamakko, the Chief Medical Director of the hospital, Dr. Nuradeen Altine said. Dr. Altine who disclosed this while speaking to newsmen in Wamakko, said the equipment included those for common fracture fixation and joint replacement. Others are equipment for the treatment of common orthopaedic problems like arthritis, bone infections and other congenital bone problems, among others. He said: “Due to the availability of these facilities and others like an X-ray machine in the theater, there is an influx of patients from within and outside the state and even from Niger republic. The chief medical director further said the state government has also renovated and upgraded the clinic, wards and the theatre. Dr. Altine further said the state government had recruited ‘locum visiting consultants’ in various sub-specialties for the hospital. However, he added that the hospital need more facilities, as well as manpower due to influx of people who patronize the hospital. He lamented that most patients came to the hospital after being attended to by local bone setters, which he said, often led to complications, sometimes leading to unavoidable amputations of limbs. “This is due to malpractices, lack of training and greed of some unscrupulous traditional bone setters. Patients should therefore be presented to the hospital as early as possible to avoid complications,” he advised.